Flight from Poland to America via India and Turkey. I share this story secondhand, as I heard it over and over again while growing up. 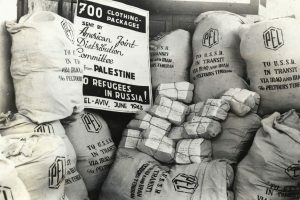 When I was only 3 years old, my great-aunt lent our funds to “the Joint” in occupied Warsaw to fund rescue and relief operation for Jews under Nazi occupation. 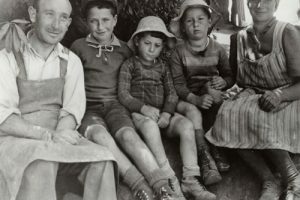 My family and I left the Polish capital soon thereafter in April 1940. 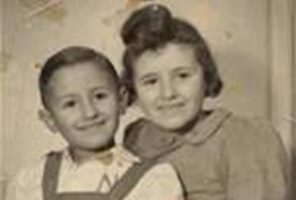 Fleeing the Nazis, we arrived in Istanbul, Turkey some months later, where we needed to retrieve the funds to continue our escape farther eastward. My father made a phone call to a Joint representative in Romania, who agreed to forward the funds in the original currency (as requested) and immediately sent them to us in Istanbul. We also received funds in Baghdad, Iraq, and in Bombay (now Mumbai), India. The residual funds were turned over to us promptly when we reached New York City in February 1941. I never knew how my father managed to contact the “Joint” in wartime Europe. 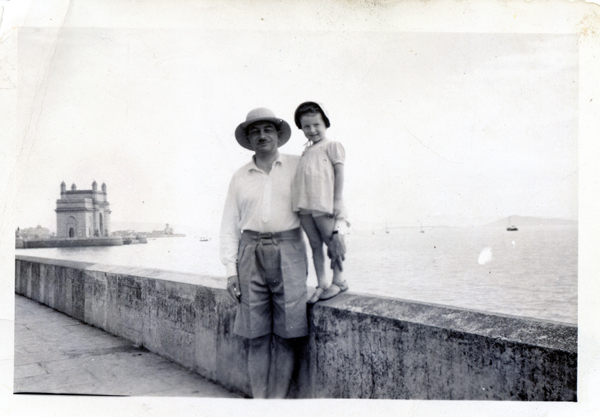 Joasia and her father, Jerzy Klein (later George John Kent) near King George’s gate (now Gate of India) in Bombay, January 1941. The funds were critical to our survival, as the four of us received our time-limited American visas in Istanbul with only 3 months to reach American soil. We were able to board an American ship, the USS Harrison, in Bombay, India, before the visas expired and thus reached American soil. Without the funds, we would neither have been able to reach India nor to pay for tickets to the United States. In our family lore, “The Joint” was always efficient, effective, and honorable.